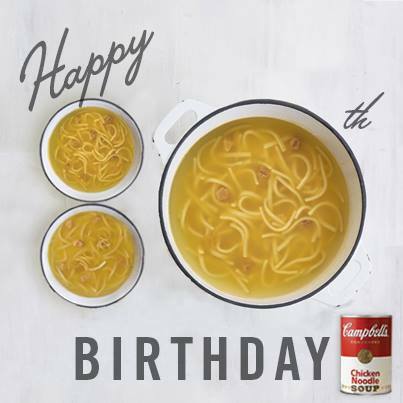 Happy Birthday to Campbell’s Favorite soup! The inspiration of Andy Warhol to paint his “Campbell’s Soup Cans” series from eating it for lunch every day for 20 years. 2014 is the 80th birthday of the Campbell’s Condensed Chicken Noodle soup.